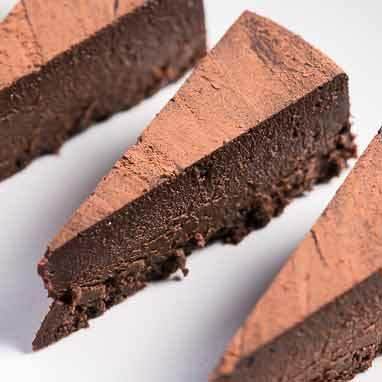 This dense, dreamy chocolate torte is very versatile. It can be baked in a round pan and cut into a classic wedges or baked in a brownie pan and cut into mini squares. It is also wonderful slightly underbaked and used as a chocolate spread (like a soft cheese) with bread and sea salt.